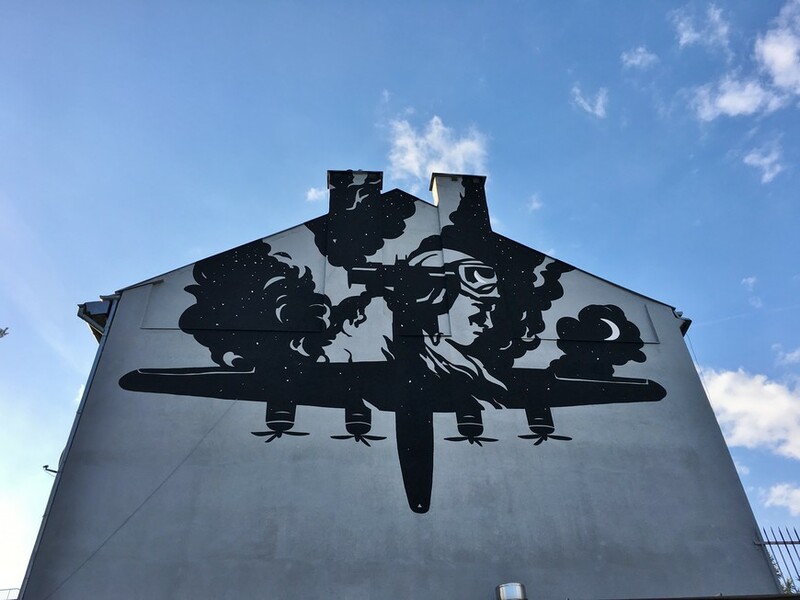 This striking mural in Podgórze was carried out by students from Jagiellonian University, with support from the city of Kraków, and installed in the summer of 2018. 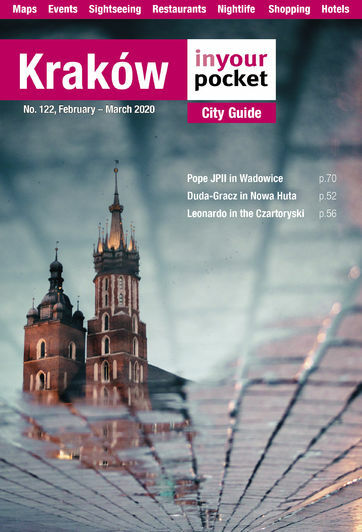 It commemorates the fate of the RAF B-24 Liberator KG933, which took off from Foggia Italy on August 16th, 1944, on a mission to supply the insurgents of the Warsaw Uprising at a drop zone in Piotrków, some 150km west of Kraków. After successfully completing the supply drop, the Liberator was shot down by the German Luftwaffe over Kraków in the early morning of August 17th. The plane caught fire and broke into pieces over Zabłocie, with the main cabin of the plane crashing into the Wisła. Three of the international six-person crew - Flight Lieutenant W. D. Wright, Squadron Leader J. P. Liversidge, and Flight Sergeant J. D. Clarke - perished in the crash, while three others were able to bale and survive the impact. The exact fates of Sergeant L. J. Blunt and Sergeant F. W. Helme is unknown, but it is presumed they were taken prisoner by the Nazis; neither was heard from again. The mission's only survivor was Flight Lieutenant Allan Hammet, who managed to reach a farm where he received aid. With the help of Polish partisans he was able to elude the Germans, and after recovering from his injuries he joined the Polish Home Army, participating in numerous partisan activities. Hammet, an Australian by birth, was evacuated to Great Britain in March 1945 and survived the war.